Family Literacy feature – learn to code! Check out this neat video from Decoda’s article on learning coding for all ages in the family. Dolly Parton’s Imagination Library is being offered to Stokes County residents through the Stokes Partnership for Children. Here’s an innovative literacy program aimed at pre-schoolers. In our previous post about pre-school literacy, pediatricians worked with a literacy society to bring books to children. This story is about a literacy program organized by country music star Dolly Parton. One of the most interesting things about this is that Dolly isn’t just shoveling money at the programs. Instead, they seem to be coming up with novel ways of organizing their own fund-raising. What new ways of raising funds could we come up with? KING — The Stokes Partnership for Children is launching a new program beginning this month. The Dolly Parton Imagination Library will provide a free book every month to all children younger than the age of 6. Once registered, books are mailed directly to the child’s home each month. Dolly Parton started her Imagination Library for children in Tennessee in 1995, and expanded the program to other communities in 2000. Individuals must have a local sponsoring agency in order to sign up for the program. According to Tuttle, the Stokes Partnership for Children has spent six years raising funds to bring this program to Stokes County. A recent report by the NSW Board of Studies, Teaching and Educational Studies suggests there are significant concerns that teachers are not fully equipped to teach reading. The report is a result of an audit of teacher education courses with a view to finding out how and in what manner teachers are trained in university courses to teach reading to young children. Of course, the teaching of reading is central to the role of a primary classroom teacher and for perhaps as long as a century the best way to teach reading has been the subject of research, investigation and analysis. When a teacher introduces a learner to the intricacies of decoding text, they start with the fundamental principle, the alphabet, the symbols that unlock the puzzle of reading. This is followed by teaching the relationship between sound and symbol. This is known in education as “teaching grapho-phonic relationships”. The main focus of most literacy training today has become ESL. There are other valuable areas which also need to be focused on, such as literacy for seniors and adult literacy. Here is an article about a program in the San Joaquin valley that is devoted to developing literacy in children aged six months to five years. 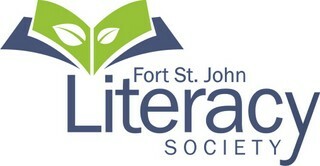 It is a collaboration between a literacy society and pediatricians. The program is implemented during the first five years of life, which offer a critical window for learning with rapid brain development that does not occur at any other time. 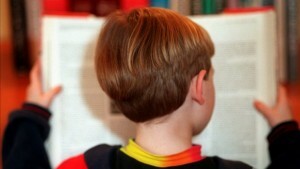 Many children, especially from low-income families, are not read to from birth. Experts report that children from more affluent households have been exposed to 30 million more words than low-income children, meaning that they arrive at school without basic literacy skills, and often struggle with reading in the early grades. Reach Out and Read bridges the gap and is a proven intervention backed by 15 independent, published research studies. During the preschool years, children served by the program score three to six months ahead of their non-Reach Out and Read peers on vocabulary tests, preparing them to start school on target. Being ready to begin learning in kindergarten leads to achieving competent reading ability by the end of third grade. Children who don’t read proficiently by the end of third grade fall behind, and many never catch up. In San Joaquin County, according to 2013 statistics, 66 percent, or nearly 7,000 children, left third grade unable to read proficiently. This setback has dire implications for future education and employment opportunities. We are all aware that a lot of people are dying in the Ebola outbreak, especially health workers. We need to keep in mind, however, that every victim is important to someone and may even be making a vital contribution to their society. That is the case with Jacob Sandolo, a principle and fierce advocate for literacy in his country. His recent death will have a great impact on Liberian society going forward. For months, ne ws services around the world have issued reports on the Ebola epidemic that has savaged West Africa. Since March, there have been over 17,000 reported cases of Ebola and more than 6,000 deaths in Guinea, Sierra Leone, and Liberia. Liberia, the worse-hit country of the Ebola outbreak, with more than 3,000 deaths, has fought this deadly virus with a severely strained public health infrastructure weakened by 23 years of a brutal dictatorship and civil war. Schools have been closed, food is in short supply, and many people are unemployed due to the crisis. News reports have typically spoken of the toll Ebola has taken on healthcare workers—doctors and nurses who have died valiantly in the line of duty, but they have not been the only victims of this deadly virus. In the last week of November, Jacob Sendolo, principal, teacher and long-term officer in the Liberian affiliate of the IRA, also died from Ebola. His death will be felt deeply. What makes a perfect Christmas gift? Is it the latest iPad? The biggest TV? Maybe it’s a diamond ring for a special someone. Most could agree that the perfect Christmas gift is something that makes another person happy; something they desire and could use to enhance their daily lives, whether that’s watching the game on a bigger TV or having a little extra bling on your finger. But what about a gift that doesn’t involve waiting in line for hours, doesn’t require hundreds of dollars, yet comes with a lifetime guarantee. How about a gift that will forever enhance someone’s life? There is such a gift. It’s literacy. The power of literacy lies not only in one’s ability to read and write, but in a person’s ability to understand the world around them. Functional literacy includes reading, technology skills and knowledge of health, math and money. There are about 30 million functionally illiterate American adults. That’s 30 million people whose lives are negatively impacted because they lack the basic skills to follow medical directions, order from menus, navigate city streets and complete online forms for things such as insurance, jobs or travel arrangements. Functional literacy increases the chance for people to reach their full potential as parents, employees and community members. Without Functional literacy, people fail themselves, their children and their community.